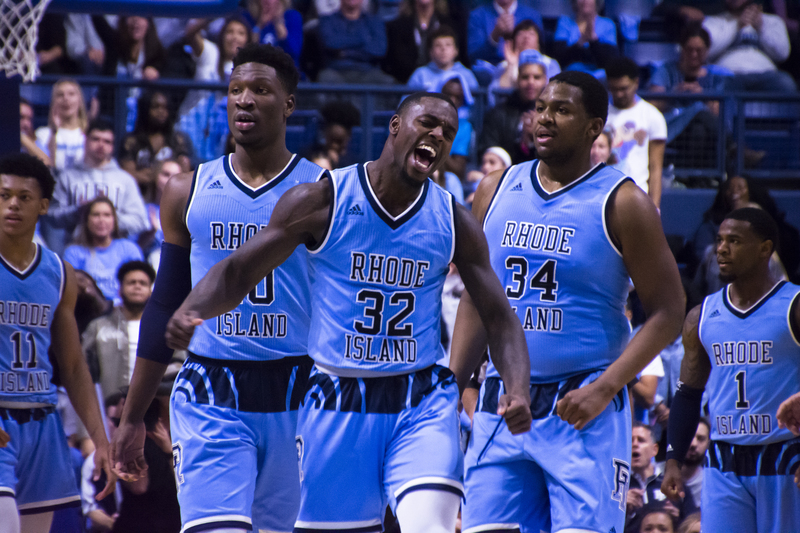 Photo by Autumn Walter | CIGAR | All of URI is excited to be cheering on the Rams basketball team in their upcoming game against the Davidson Wildcats this Friday. On Monday afternoon the URI men’s basketball team checked in at No. 18 in this week’s Associated Press Top 25 Poll, the highest the program has ever been represented in the poll. Well, this is fun, isn’t it? The Rams are now ranked ahead of both North Carolina, No. 21, and Kentucky, No. 24. Now that’s something to write home to mom about. Last week the Rams were the No. 22 team in the country and have now been featured in the poll for three straight weeks. 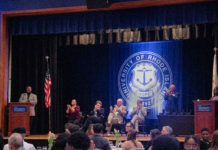 URI was present on all but one AP voters ballot. The lone voter to leave Rhode Island off their ballot was Jesse Newell of the Kansas City Star. Scott Mansch, columnist from the Great Falls Tribune in Great Falls, Montana, had the Rams at No. 10, the highest they appeared on any ballot. Hurley and his Rams are coming off a perfect week on the road. The Rams took down both the UMass Minutemen and VCU Rams last week on each team’s own home court. No matter what conference you are in or the strength of the conference, winning on the road is tough to do. Both road victories contributed to the Rams moving up four spots in this week’s poll.